Currently viewing the tag: "Pulp Alley"
I enjoyed this AAR, The Treasure of El Kabong, the scenery is really good. Working on my 70s minis for the Carnage game in November (Yes, it’s 10 months away, but these projects can grow and grow and grow…). I actually have an idea for a scenario, still letting it percolate, though, before I share it here. The theme for Carnage on the Mountain in November this year is “Spies” or “Secret Agents”, so I am creating a custom scenario for Pulp Alley. 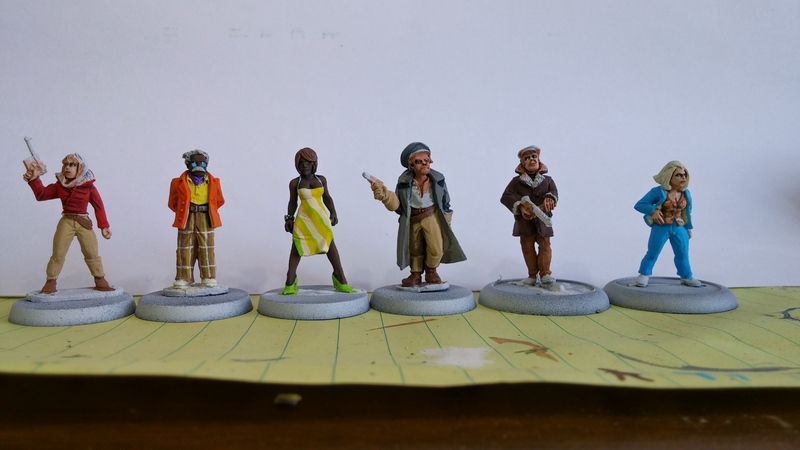 The game will feature my favorite Pirate minis in a Social Affair-style event, where Brawling and Shooting are Replaced by Dancing and Repartee. Happy New Year! Yesterday is the first time that I was able to pick up a paint brush in 2016. 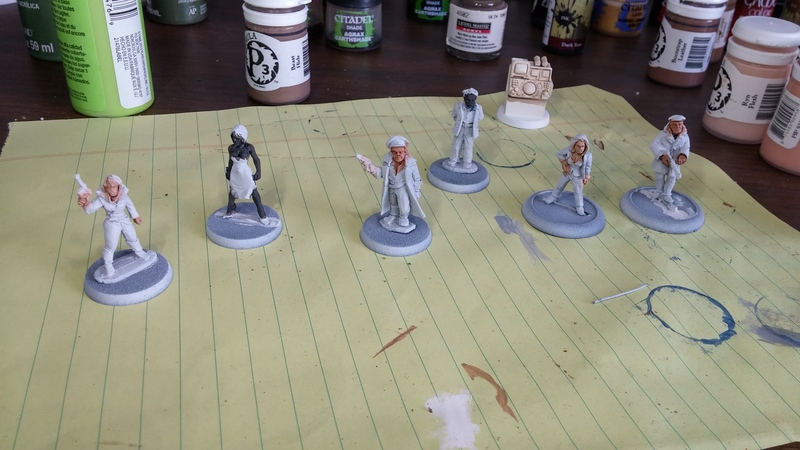 I am working on some minis for a 70s-era, spy-themed Pulp Alley game I am going to run at Huzzah! and Carnage on the Mountain this year. The pirate Captains are racing to this flyspeck island, following maps they believe will bring them great riches. Each pirate has a partial map, and none of them know the others were coming. It’s a race to gather as much loot as possible! Looking forward to some fun games!